Will our kids get to see Mirik Lake ? 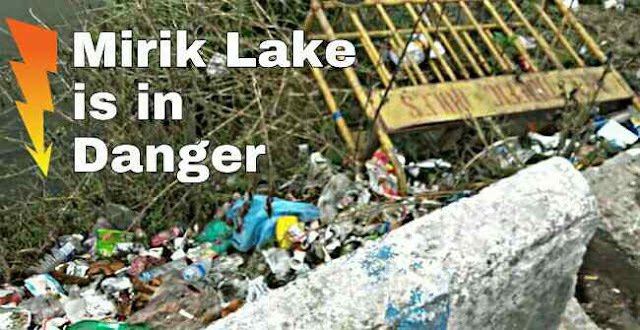 Mirik lake, one of the main tourist attractions of Darjeeling, is fast turning into a dumping backyard. While the locals had carried out cleanliness drive to restore the beauty of the garden not so long ago, the lake continues to remain utterly neglected from any authorities' attention, including that of the municipality & the govt. So much so even the Mirik police seems to be unaware of its own barricade that is lying unattended and has apparently been dumped in the lake. In the absence of any governmental intervention to maintain the serenity of the lake, it has become an easy dumping ground, and has started to stink already. If it continues to exist this way, the lake that we know today, will soon become a history. Wake up authorities & save Mirik lake before it is too late.